All of our Steam games are part of The Intergalactic Steam Summer Sale this year! So buckle your pants as we hack and slash those prices to bring you co-op adventures. Castle Crashers Steam & BattleBlock Theater Steam are both 70% OFF from now until 10AM PDT, July 5th! Even our latest release, Pit People Steam, is discounted during this sale at 40% OFF. All three games offer hours of co-optional gameplay, be it local multiplayer or online multiplayer! Do some questing with a friend as you play Pit People, or test your relationship when you solve puzzles with your partner in BattleBlock Theater, then add two more to your party for a 4-player adventure in Castle Crashers. After five awesome years on Xbox 360, it’s nearly time to sunset the special unlock rotations & user generated content (UGC) areas of BattleBlock Theater XBLA. BattleBlock Theater was first released back in April of 2013 and since its release there have been thousands of user generated levels in the Community Theater! This allowed us to feature our favorite community-made playlists in Furbottom’s Features and Arena Features weekly. In addition to highlighting community levels weekly, we were also able to rotate in special unlocks each week — sometimes players had to complete Furbottom’s Features to get the prisoner, and other times they simply had to head to an online area of the game for it to pop up. We manually chose the playlists and unlocks each week and updating them was all possible through working with XBLA! When the Xbox One was first announced, we weren’t sure if these services would continue to be supported but we were pleasantly surprised when we were able to continue to rotate in the special unlocks and Furbottom’s Features not only on Xbox 360 but on Xbox One via backward compatibility as well. Backward Compatibility brought in a whole new group of players! It has been a heck of a run and we’re happy we were able to continue supporting these bonus features and community made content the past five years. But the time to sunset these services is quickly approaching, so we wanted to make sure we give people enough time to say goodbye to their favorite community-made levels and get the rest of the special unlocks. We hope you’ll take the next few weeks to check out your favorite community made playlists before they’re gone. As for the special unlocks, we’ll be giving three out each day since we can only update up to 3 unlocks at a time (all of these will change around 2PM Pacific Time). All you have to do is head to an online area of the game to unlock them. We’re going to keep unlocking them every day until we get shut down! Can’t stop, won’t stop, until we get stopped!!! Check in each day for the unlocks of that day by visiting our BattleBlock Theater Facebook page or check our Events Calendar for the tentative schedule. It will be your last chance to get these special unlocks!!! 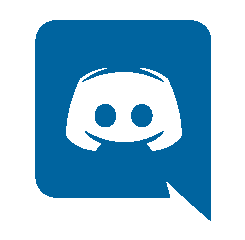 As you might have noticed, the new co-op and solo playlists list under “new user-created playlists” section are currently empty and will remain unpopulated as we continue to slowly sunset these features. However, Top-Rated playlists, Top Downloaded playlists, and Behemoth’s Favorite / Recommends curated list are still playable. Starting June 25th, BattleBlock Theater XBLA players (on both Xbox 360 and Xbox One) will no longer be able to upload playlists into the Community Theater nor will players be able to access community-made levels in general. In addition, the Furbottom’s Features and the unlocks will not be rotated, so it will stay the same playlist & unlocks until the other features shut down as well. Any special star prisoners you already unlocked prior will stay in your inventory. Players will be able to play Furbottom’s Features and the Arena Feature until the rest of the community online services are shut down sometime in July. The date is TBD, but we wanted to give as much notice as possible so players can check it out one last time before the featured levels are gone forever. Again, Special Star Prisoners will no longer be rotated in but there will not be an error message that pops up. 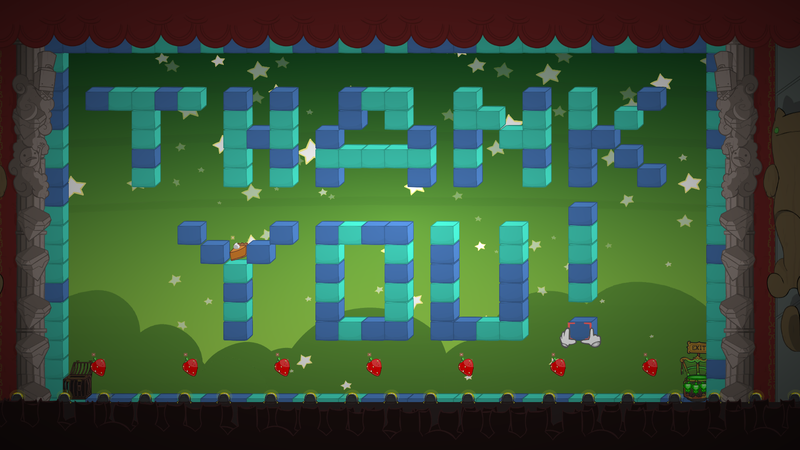 Finally, we’d like to say thank you to everyone who joined in level making all these years! 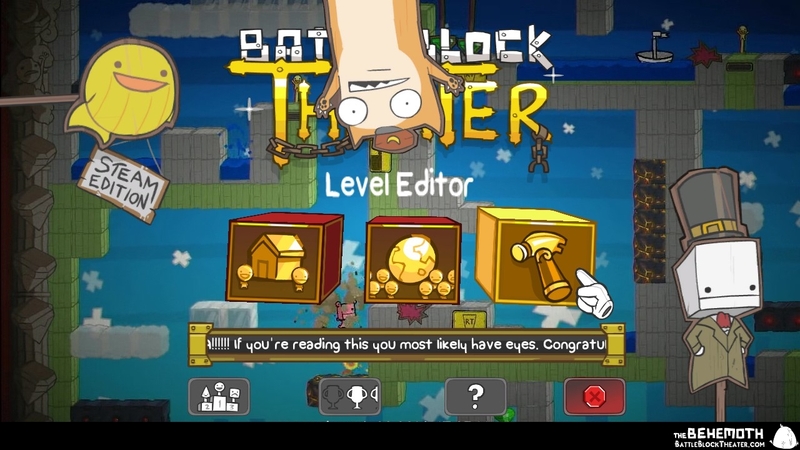 We made the Level Editor for the BattleBlock Theater community but had no idea how well received it would be and we were overwhelmed by the creativity we’ve seen. It really added an extra special dimension to the game. 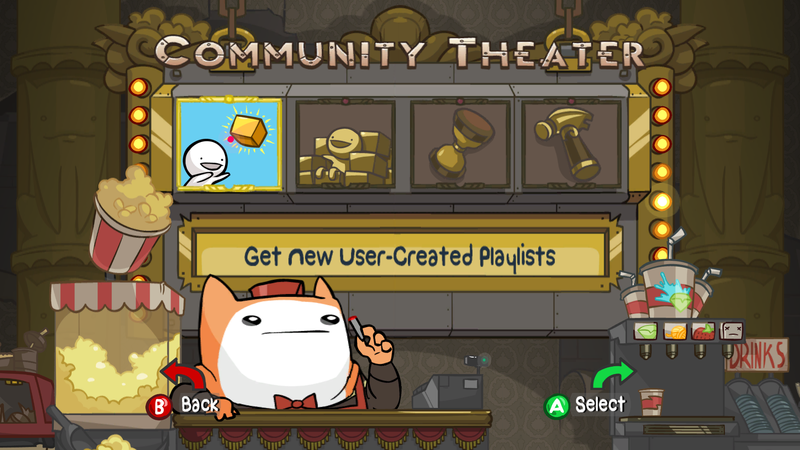 For those of you who would like to continue creating BattleBlock Theater levels and sharing them with the world, the Steam Workshop is still running so the Community Theater and Furbottom’s Features are still available in the Steam version. 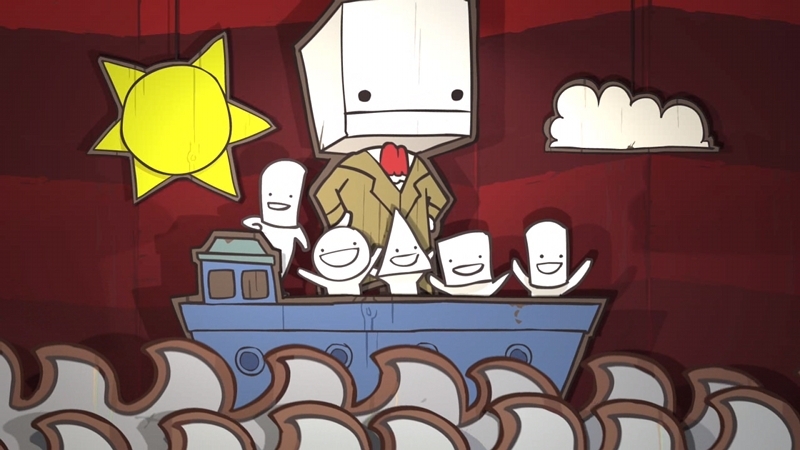 The Steam version of BattleBlock Theater will be unaffected by these changes in XBLA. Thank you again to all of our level creators who have contributed to BattleBlock Theater XBLA! The journey may be over, but it will never be forgotten. Also, the game isn’t completely shut down either, so get back to battling cats and saving your best friend Hatty! Today, Xbox Game Pass added more game titles to their collection, including Alien Hominid HD and BattleBlock Theater! This means if you have Xbox Game Pass, then you can play both of these games for FREE while they’re part of the catalog. Yessiree! Chomp off the heads of as many enemies as you’d like or work your way around a puzzling theater run by cats…do it any time of the day for as many hours as you wish while the games are still part of the Xbox Game Pass catalog. 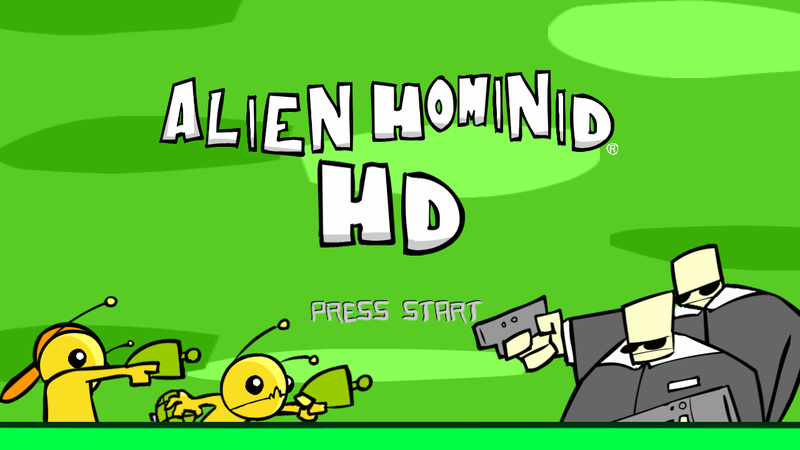 Alien Hominid HD and BattleBlock Theater are both great couch co-op games! So if you’ve got a couch, have an Xbox & Xbox Game Pass, then invite your friends over to check them out. And if you don’t have Game Pass, no worries! These titles are available through the Xbox 360 Back Compat program on Xbox One. So you can still buy them there!